If, as Dr. Johnson said, patriotism is the last refuge of a scoundrel, then HST had it in spades, for he stands to late 20th century America as Baudelaire stood to the Church – a depraved lover, but a lover just the same. The excesses in this novelization of Raoul Duke’s wacky Vegas road trip are Rabelaisian in their scope, and that surely must have been the point of it all: to exceed by a wide margin the “extremes” of a Sin City born as an inevitable product of the unique and soul-confining American Protestant ethic, and to shine the light back upon the hypocrisies of the American Dream at the waning of the 1960’s. It must be admitted that Thompson loved his country and despaired of it – doing so until that despair attained terminal velocity under the catastrophic administration of Bush the Lesser. 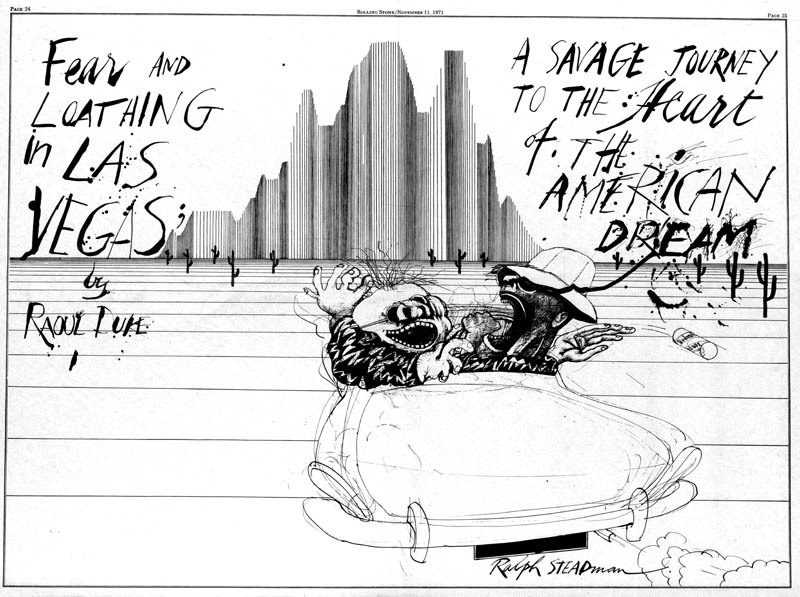 I remember reading a piece from one of Thompson’s later collections, and tasting that humorless hopelessness permeating the pages. It was clear that the good Doctor was not long for this world that he saw lunging headlong into a shallow grave, a vision that the ascension of our newest (and most dangerous yet) demagogue to power would appear to confirm. We still have, however, this early and shining testament to the man, his humor and his appetites, his keen insights made even through a drug-addled lens. His was an expansive awareness, which I believe was innate and not dependent upon any of his numerous choices of artificial stimulation. 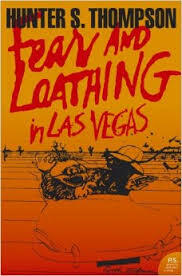 Fear and Loathing in Las Vegas is a rough and tumble read, with something to offend almost everyone. It is, as I said, a Rabelaisian work, and if you get that (or even if you don’t), you can settle in and read it cover to cover multiple times with no diminishment of the sheer gonzo glory of it.